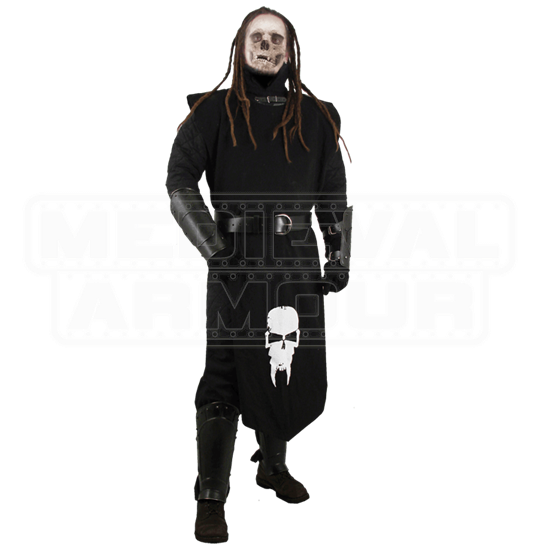 Shout out the words, For the Bone Queen, as you charge into LARP battle with the ConQuest Undead Armour Package 1. This officially licensed ConQuest armour set includes the arm bracers, greaves, studded belt, and stylized tabard. Fashioned from 18-gauge galvanized mild steel, the bracers and greaves possess a dark metal finish, coated with a special rust resistant treatment. A pair of leather buckle straps secures each armour piece to your limbs. 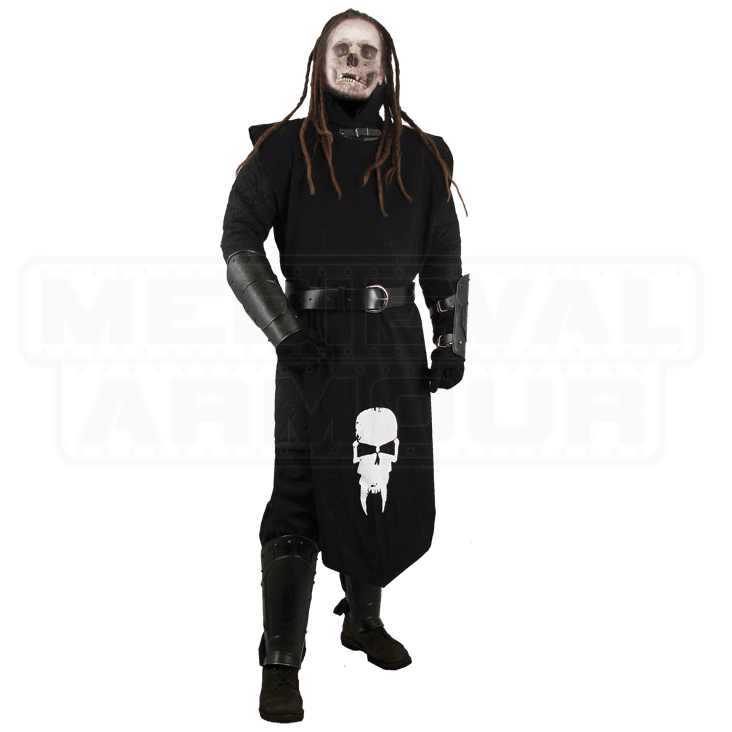 Made from a lightweight black cotton fabric, the sleeveless, open-sided tabard displays a skull insignia on its front flap. A brass buckle and studs decorate the matching black leather belt. Care Instructions- Keep away from water. Clean with a metal polish and re-oil occasionally to properly maintain the armour. Use Leather care products for the fittings. These are measurements of the armour only. These measurements do not include the straps or buckles.